SEEING a whole town of people on their verandas with their feet in buckets of cold water may be a little unusual. But this week in Goomeri, it was common practice. Goomeri resident Athena Lackmann has spent the day doing whatever she could to keep cool amidst the 40-plus temperature days. "We are sitting on the veranda with our feet in cold buckets of water and a fan," she said. 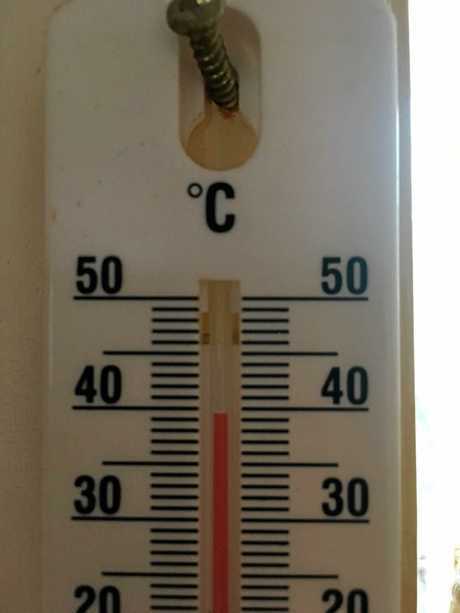 Ms Lackmann's weather gauge read a sweltering 44 degrees at 1.30pm today. 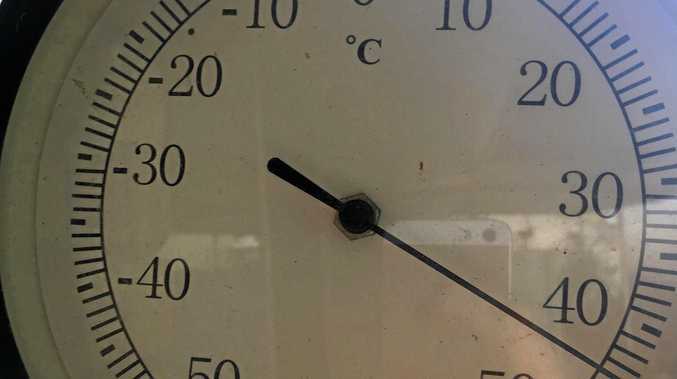 "It was already at 40 degrees at 11am this morning," she said. She has lived in the town on and off for the past 10 years and could not remember it ever being this hot. The previous March record was 37.4 in 2007, however Goomeri broke that record yesterday. "We have had 42 degree days yesterday and the day before," she said. The Goomeri resident and her family had very little plans for the weekend. "We will just suffer it out," she said. "I might have a few wines." While she is a caring mother, Ms Lackmann was not concerned about how her son was currently dealing with the heat. "He is fine. The Goomeri school has air con," she said. The family regularly go to the Goomeri pool after school for a swim, but Ms Lackmann said they probably wouldn't go this afternoon. "I'm too exhausted," she said. "We might just sit in the buckets."